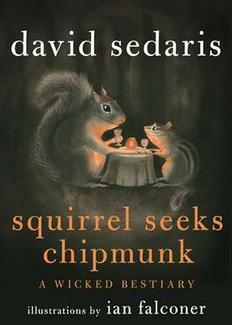 Title: Squirrel Seeks Chipmunk // Author: David Sedaris // Publisher: Little, Brown and Company // Pub. Date: September, 2010 // 176 p.
David Sedaris’s Squirrel Seeks Chipmunk remains on the NYT bestseller list for the eighth week in a row. This does not surprise me, as Sedaris’s last three collections of personal essays (Me Talk Pretty One Day, Dress Your Family in Corduroy and Denim, and When You are Engulfed in Flames) were immediate bestsellers. Even though Squirrel Seeks Chipmunk’s success does not surprise me, its content does. This book is a collection of fables, but these are the adult-only versions of the stories our parents read to us as children. In this wacky world that only Sedaris could dream up, animal characters take vacations, go on dates, and go to jail. The result is a collection that’s not only surprising but also bizarre and disturbing—but in a funny way, of course (this being Sedaris). Ian Falconer, author and illustrator of the bestselling Olivia series of children’s books, illustrates Squirrel Seeks Chipmunk, and he somehow manages to capture the essence of these characters. Falconer’s illustrations mirror the style that Sedaris sets forth with visuals that are as hilarious or as gruesome as the stories themselves. Like Sedaris, Falconer’s not queasy at the thought of blood and guts, nor does he shy away from including them in his illustrations. I’d highly recommend this book for those who can stomach it—it’s innovative and entertaining; it’s dark and (sometimes) deep—David Sedaris through and through. To read my more in-depth review of this book, click here to read it on the About.com Contemporary Literature website. 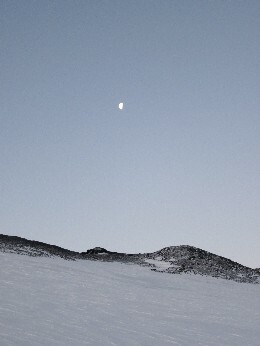 To celebrate the final sunset of the austral summer season, I went on a night hike with a group of scientists. Even though the sun set this night, it wasn’t really dark, as the sun just barely skirted below the horizon and hid behind the mountains for a while before rising again on the other side. 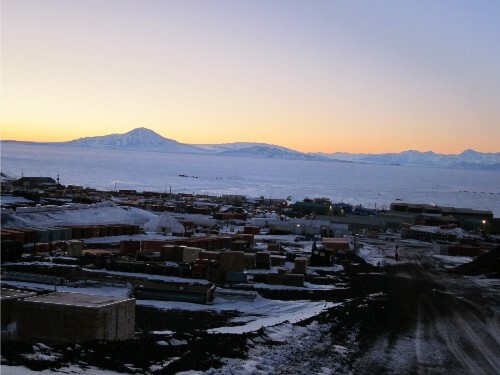 It’s a surreal time of the year at McMurdo Station, Antarctica. The moon hangs itself on one corner of the sky, while the sun is barely hidden on the other. By the time we made it up to Castle Rock, the evening light was looking really beautiful, and even though I was super cold by this time, the scientists insisted on stopping to take more photos. I guess I don’t regret now that I stopped with them to take some, too. 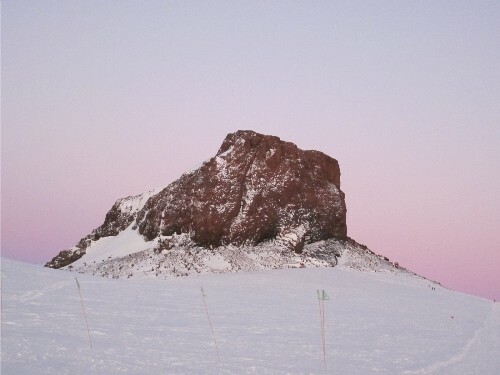 We hiked all the way up to the ridge and were able to look out over McMurdo Sound (too cold for me to take photos) before descending down the loop and leaving Castle Rock (below) behind us, silhouetted against some of the most amazing pastel light I’ve ever seen. Our group of seven splintered after we stopped at Castle Rock. 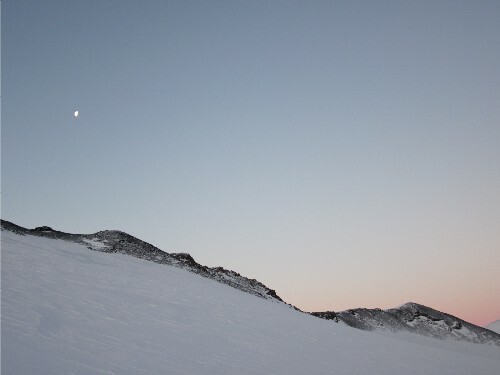 Three of us, led by a really hungry Québécois, picked up the pace in hopes of making it back to McMurdo for the midnight meal, food always being a good motivator. The others stopped to rest in a warming hut. 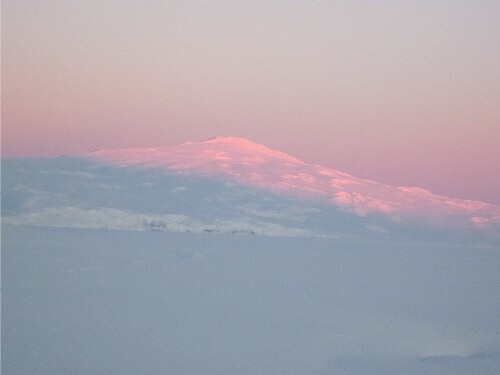 By the time we were descending back into McMurdo, my goggles were frosted on the inside, and my neck gaiter was all iced up. I only got a few moments to revel in this view of the sun hiding out behind Mount Discovery before I put my hood back up and scurried home to bed. 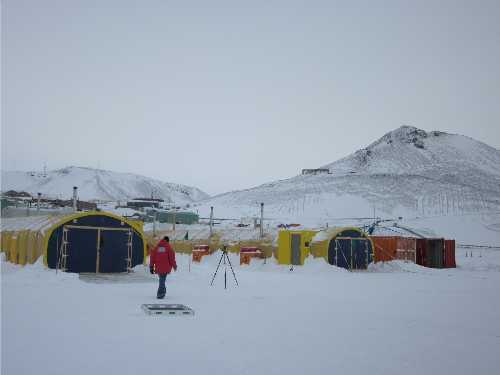 So the real reason we’re all here at McMurdo Station, Antarctica? Science. 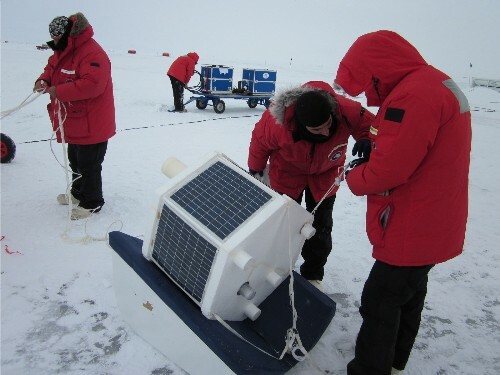 Polar science, to be exact. 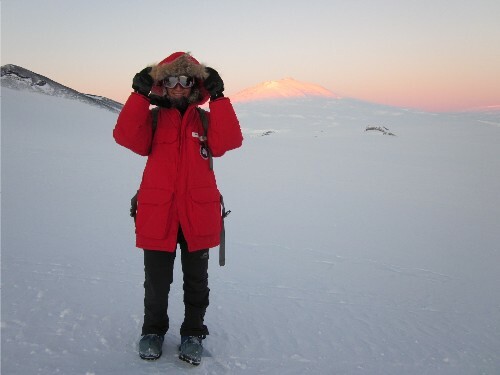 This time of the year—the austral summer—is the time when most scientists conduct their research. It’s light outside for 24-hours each day, and the summer temperatures are more bearable than the winter ones. Science projects supported by the National Science Foundation cover anything from aeronomy and astrophysics to zoology. 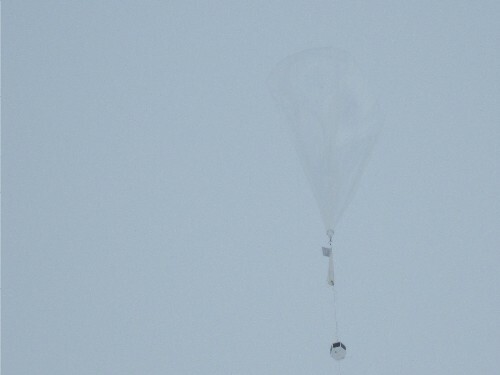 I got to witness one of the balloon launches, which went off from the Concordiasi science camp—a few big mobile structures set up on the sea ice within walking distance from McMurdo Station. 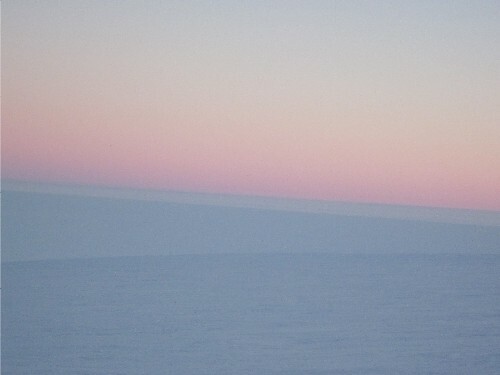 When I arrived, the light was flat, and the temperatures hovered just about 0°F. 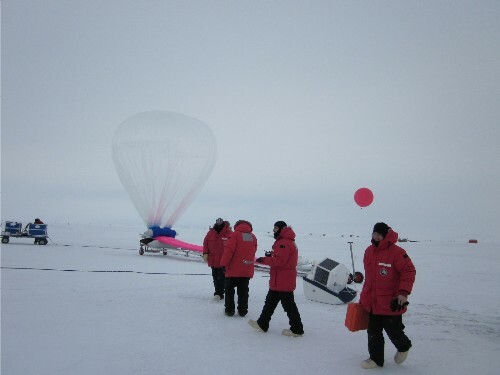 Scientists were scurrying around in their Big Red parkas, fretting over the payload, getting the big balloon aired up, making frantic last-minute adjustments. I mainly tried to stay out of the way but stepped up to take a look at these solar panels on the payload, which keep instruments inside running as long as the two-story-high balloon floats in the atmosphere, gathering data. Once everything was set, Alain started counting down on a megaphone: “Cinq…quatre…trois…deux…un! !” and then the balloon let loose with an explosion of activity. 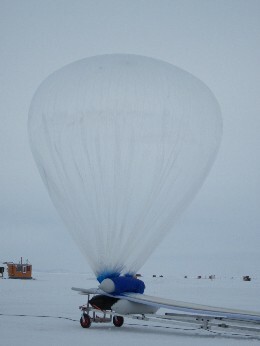 Alain shouted out directions while two scientists guided the payload safely into the air. “Don’t move, don’t move,” he yelled in French, and everyone finally relaxed when he repeated: “Parfait! Parfait!” Perfect. Perfect. …and the scientists were all smiles. 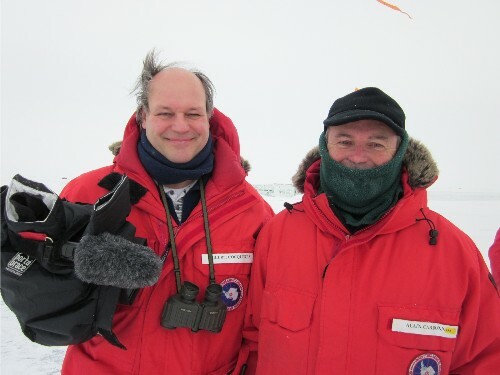 Philippe and Alain, above, are two of the scientists I know from their previous work at McMurdo. They rallied me to join them in a group photo, which of course I didn’t refuse. Jerome and Jean-Noel are in this photo, too—two more of original team I knew from ’05-‘06. 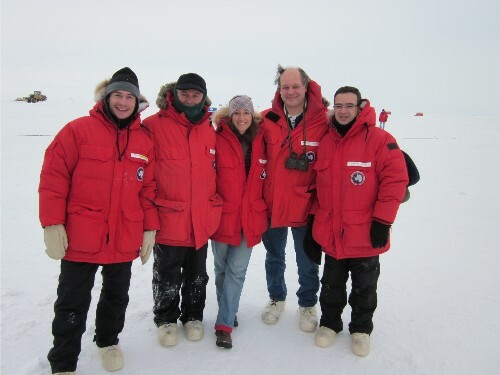 These scientists are a special group—full of life and laughs. I was sad to see some of them leave this week already, back to offices in Paris and Toulouse, where the real work begins and ends.